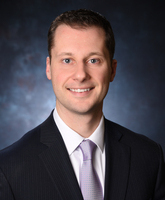 Joe is a CERTIFIED FINANCIAL PLANNER™ professional who is passionate about helping his clients’ pursue financial goals. He is also passionate about financial education which is why he wrote the book Decades & Decisions: Financial Planning At Any Age. He joined Synergy Financial Group for one quality in particular: Independence. With the LPL Financial affiliation, he has access to many different types of investment options. The ability to give objective advice to his clients allows Joe to sit on the same side of the table as his clients. This is why his practice has grown exclusively through the word of mouth and referrals from existing clients. It is this experience working with many individuals over the years from many backgrounds that inspired Joe to write Decades & Decisions. The book breaks down important financial lessons by decades of life. A 20 year old won’t have much interest in reading about Long Term Care just like a 60 year old won’t have much interest in learning about finding their first job! Decades & Decisions: Financial Planning At Any Age is available here on Amazon. Joe, his wife Jane and their two sons live in Bel Air, Maryland. When not raising a family or working with clients, Joe likes to travel, golf and cook.